..: Etrusia - Roman History :..
Any outline of Roman history covers, at one stage or another, the Roman Army. This is with good reason. 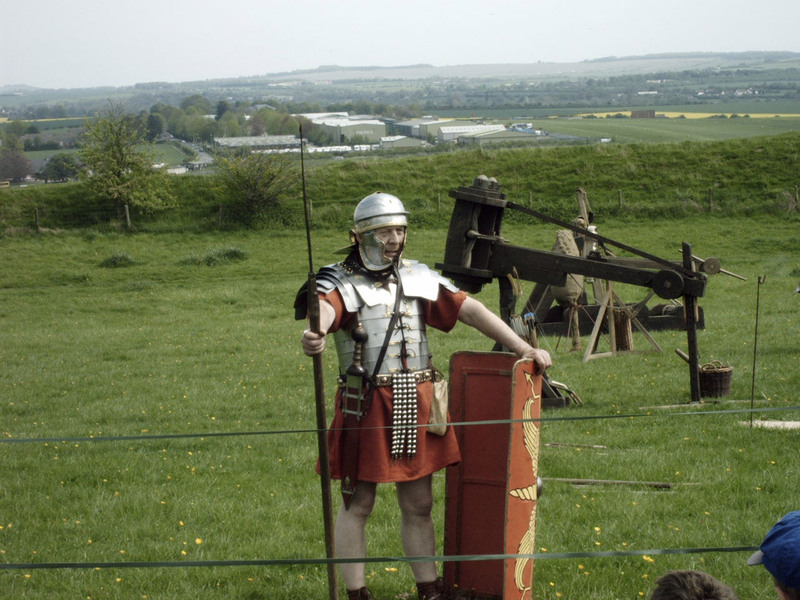 For its entire history, Rome has relied on the military machine for defence and expansion. In the earliest days, when Rome was a fledgeling city state, its soldiers provided protection (notably failing in 387 B.C. when the Celtic Gauls defeated the Roman Army at the river Allia and proceded to sack Rome itself) and throughout the time of republic and empire control of the legions became fundamental to power in Rome. This article will give a very brief overview of the Roman army as most people think of it - post Marius' reforms. Future articles will study the Roman military machine in greater depth. Prior to the Celtic invasion, and from about 500 B.C. the Roman army consisted of around 6000 soldiers. These were made up from a levy (Latin. Legio) of all eligible Roman citizens between the ages of 17 and 46. The prime eligibility criteria was simply land ownership at this time. These soldiers were heavy spearmen, almost identical to the Greek Hoplites from the "classical era." In the earliest days of the republic (c. 509 B.C.) Romans organised these legios into straight forward "armies" of around 500 - 1000 men with very little similarity between them. Each legion had around 300 cavalry. Made up from the richest citizens who could afford the horses. Mainly poor soldiers who couldn't afford to equip themselves properly. Used as scouts and skirmishers. The first line of the battle. These were the youngest soldiers and armed with javelins (pilum) and short swords (gladius). The second line of the army. These are men in the prime with considerable battle experience. Armed the same as the younger hastati, the principes were expected to "steady the line." The third line was made up of the veterans. 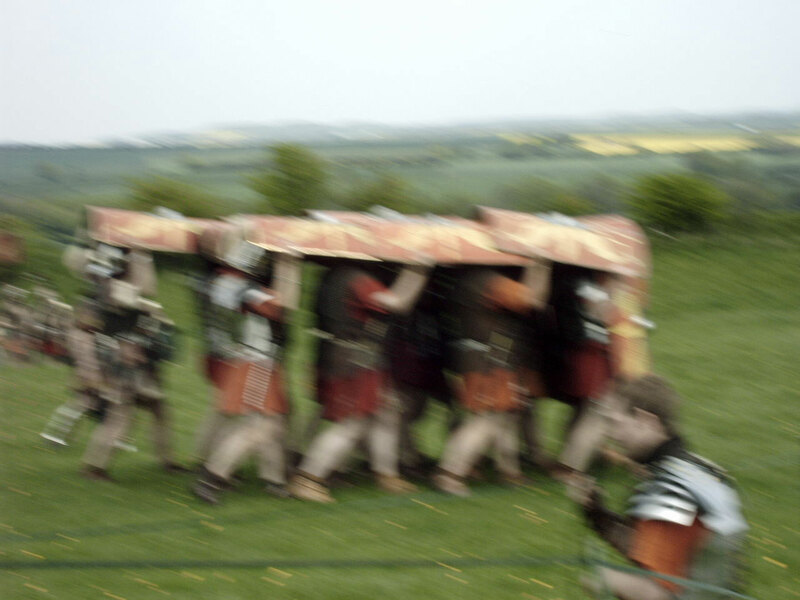 Often soldiers who were close to the end of their service, the triarii provided the "backbone" of the legion. They were armed the same as the front two ranks but appear to have had longer spears. All three lines of heavy infantry were organised into ten "maniples." 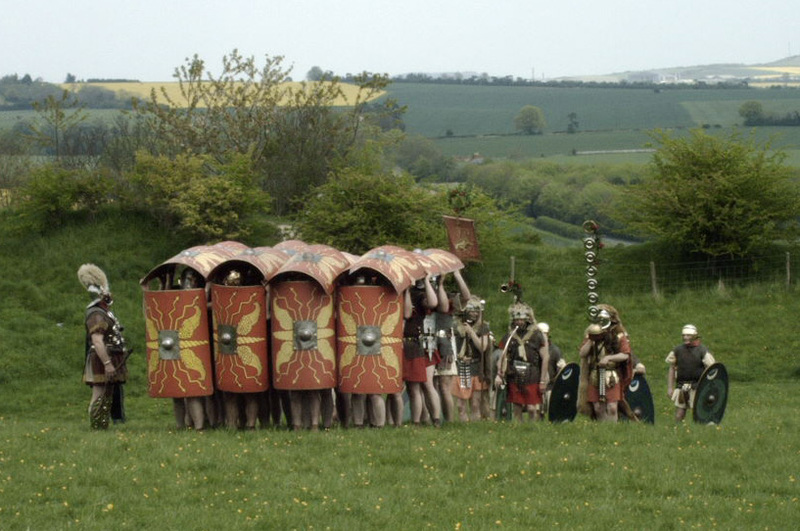 This grouping of ten maniples was the smallest fighting unit of the Roman army, and comprised two "centuries." In the case of the hastati and principes, maniples consisted of about 120 - 160 men. The triarii made up ten maniples of about 60 men. Additionally, each maniple had a unit of about 40 velites (light infantry) attached to provide flanking attacks. The Roman cavalry was normally used as a screen or long distance scouts and, whilst socially prestigious, were rarely significant in battles. When it came to battles, the Romans formed their legions into a formation called the "triplex acies" (Triple Battle Order) which looked a bit like a chequerboard. In this formation, the principes covered the gaps in the hastati line, and the triarii covered the gaps in the principes line (see figure 1). This formation could often present a front to the enemy over a mile long. 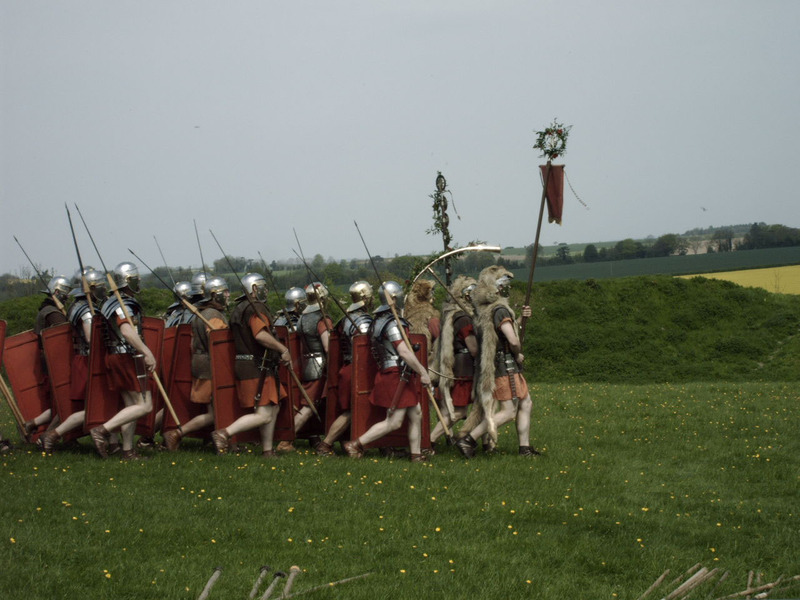 As well as the Roman citizens in the legion, the army was supplemented by an similar number of allies (around 4-5000 infantry, 900 cavalry), commanded by Roman officers. These auxillaries were normally positioned on the flanks of the army and were known as alae (wings). For nearly two hundred years, the Roman army and the triplex acies were nearly invincible. The formation allowed the Romans to repeatedly beat technically and numerically superior forces such as the Macedonians. In addition, the flexibility offered by the combination of formation and Roman discipline, enabled the Romans to defeat attacking elephant and cavalry forces (the maniples would open to let the charge pass, then close and destroy them) which ensured Roman dominance over the classical world. Eventually though, the disband and reform approach became unsustainable. The closing years of the second century B.C. were plagued with military defeats and the reputation of the Roman army was badly damaged. This culminated in the battle of Arausio in 105 B.C., where the Cimbri and Teutones (proto-Germanic tribes) destroyed over 80,000 Roman soldiers. Following this devastating military defeat, a popular Roman general named Marius realised the Roman army needed a major overhaul. What came next went down in history as "Marius' Reforms" and helped the Roman army maintain another 500 years of military might. You can download this article as one large file for ease of printing. Copyright © 2004 - 2006 : Heather Wake. Rights reserved under creative commons licence. This interoperable, standards conformant site was designed by Halkyn Consulting Ltd.co.uk consultancy service.